eBay find: These are kind of unreal. If they didn't cost more than the home I would put them in if I had that much money... I'd totally buy them. 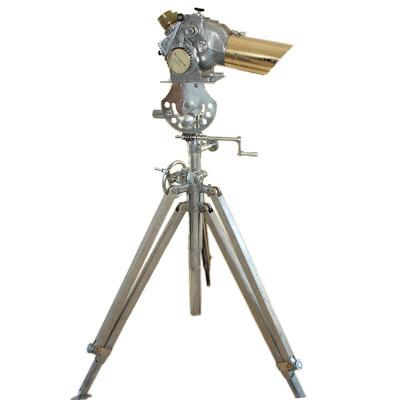 I'm always on the lookout (no pun intended) for a great WWII telescope, and I'm afraid it doesn't get much better than this. I'd love to see a US version, but I don't think we made anything close to this. Only a few days left, and with a buy now for only $22,000.00... why wait?